One of our readers was noting that some questionable, even offensive, advertisements were coming up in the comment box. I've now paid to have the account upgraded and my understanding is that should get rid of the advertisements as well. Please let me know if that has not happened. "Critique Principles not People. Be Discriminating but don't Nitpick. Be Academic not Acerbic. Be Principled not Polemical." I didn't realize that a banner could be put at the top of the comments until looking into the advertisement issue, and it seemed like a good place to not only place our "branding" but also a reminder about the tone we want to set in our comment discussions. Fr Aidan Nichols wrote an article for this newspaper almost a decade ago in which he argued that the Church’s true mission was “the conversion of England”. His essay caused a stir and was picked up by the BBC, which gave him a John Humphrys-style grilling. Why, his interviewer demanded to know, was he advocating something so plainly “offensive” to non-Catholics? Fr Nichols pointed out that he had never suggested that Catholics should target Protestants, or practising members of any other religious group. Nevertheless, he was accused of wanting to “eliminate” other Christian and non-Christian religions. Fr Nichols’s new book, The Realm, will almost certainly provoke similarly aggressive misunderstandings. Nowhere in the book does he call for Catholics to prey on other religious groups. But when the average Englishman hears the phrase “the conversion of England”, he thinks “Spanish Inquisition” – a spectre you might think a Dominican would be especially wary of evoking. Many Catholics will recall the controversy that ensued when Cardinal Basil Hume used the term in an interview. He was later forced to apologise. Fr Nichols is clearly prepared for brickbats, but, as he says in the first chapter, he is not going to apologise. He regards the taboo surrounding the contentious phrase as a “specifically contemporary-Catholic form of political correctness”, which has led to confusion about what, precisely, the English Catholic Church is for. Is it simply one among many exclusive religious clubs or is it a universal body that aims to bring the world to its divine fulfilment? Fr Nichols, unsurprisingly, thinks it’s the latter. For him, Catholics display false modesty when they settle on a goal less radical than the complete transformation of our society in the light of Christian revelation. Given the catastrophic decline of English Catholicism, isn’t this all a bit of a pipe dream? Fr Nichols recognises that the figures are “scary”, but that doesn’t dampen his enthusiasm. If the Church once “made England”, it can do so again, he says. The English Catholic Church’s great advantage, he believes, is its dynamic mix of indigenous and foreign elements. In contrast to the Church of England, which is “too exclusively indigenous” and the Orthodox Church, which is “too little indigenous”, Catholicism “can present itself as quintessentially English and generously inter-ethnic at one and the same time”. This, he says, is crucial to transforming our culture. The theologian sets out a bold list of “policies” he thinks will equip the Church to transform society. 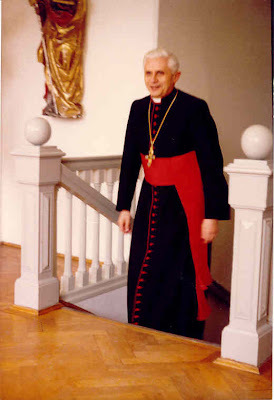 Anyone familiar with the thought of Pope Benedict XVI will find most of the items familiar. What Fr Nichols is proposing is that the English Church imports the Benedictine revolution from Rome. This may, as he says, seem a “colossal task”. But at least it lifts our sights and gives us something collectively to aim for. There are insuperable problems with reviving the term “conversion of England”, but Fr Nichols is essentially right: the Church needs a coordinated strategy for drawing individuals to the Catholic faith and transforming English culture from within. His programme is the most convincing yet proposed. We hope his book will inspire English Catholics to think big again. RORATE CÆLI shares an interesting bit of news from the blog of Abbé Philippe Laguérie, the superior of the Institute of the Good Shepherd. "The Basilica of the Most Holy Savior in Rome (Saints John the Baptist and John the Evangelist in the Lateran), Mother and head of all the Churches in the City and in the World, will host a Traditional ceremony of Holy Orders (Diaconal Ordination) on February 23. Four seminarians of the Institute of the Good Shepherd (IBP) will be ordained to the Diaconate by Archbishop Luigi de Magistris during the ceremony, authorized by the Archpriest of the Basilica, Cardinal Ruini, Cardinal Vicar of Rome." 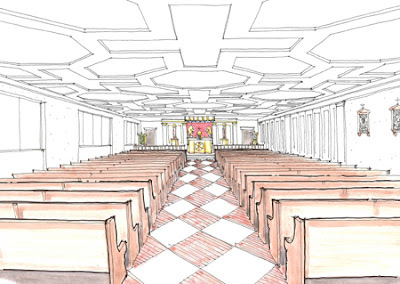 "[On] February 23... four of our seminarians will be ordained to the diaconate... Where thus? In Rome please. In which church? Will you believe me? In the cathedral of the Pope, the Mother and the Mistress of all the churches, the worthiest and first of Christendom: St. John Lateran! Thank you to our valorous Fr. Fournié, our representative in the Eternal City; thank you with to Cardinal Ruini, vicar of the Pope, who gave this authorization. Thank you to all the players for this eminently symbolic gesture of the strong benevolence of the Roman Pontiff upon our modest Institute." Abbé Laguérie also hints at possible further growth for the IGS in France. 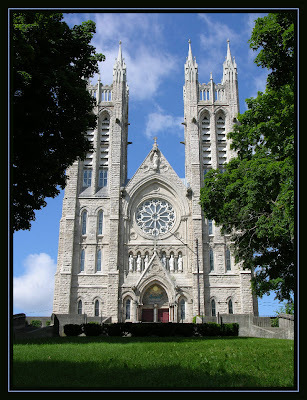 Canada is a country that has many beautiful churches, particularly gothic revival churches within English Canada. One thing that is particularly gratifying to me is when I comes across grandiose churches that are either in small cities, towns, villages, even rural areas. Often their stories are quite interesting, either denoting some sort of local aspirations, local connections to people of influence, or at very least denoting the presence of an early and concentrated Catholic community for which such a church served Catholics for miles around. One such church in my own locale is the "Church of Our Lady" in the city of Guelph, or more properly, the Church of Our Lady of the Immaculate Conception. What is particularly edifying about it, in addition to its wonderful gothic revival form, is that it is set upon a hill in the midst of that city at the end of a main street, making the Church all the more dramatic in appearance and visible for quite a distance. The grounds that surround it are wonderful as well. 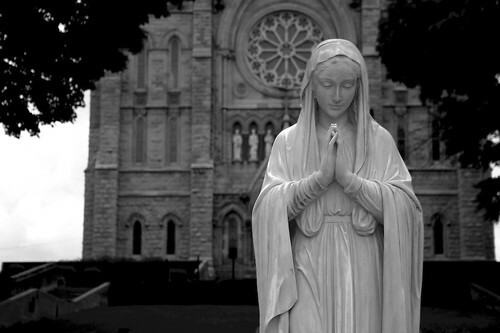 "From the earliest days of the settlement of Guelph, Catholics have played a role in the life of the community. Bishop Macdonell, the Bishop of Kingston, who was responsible for the Catholic Church in Ontario, was a friend of John Galt, the founder of Guelph. He had supported Galt's work with the Canada Company, which was charged with developing much of the land in southern Ontario. When Galt established the new settlement on April 23, 1827, he gave to the Catholic Church the hill in the center of the town. 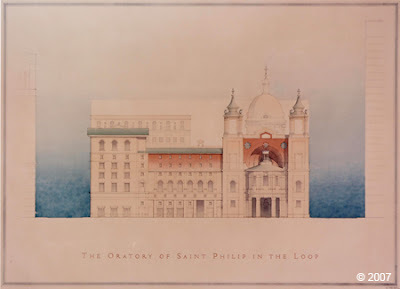 In is Autobiography he writes: "a beautiful central hill was reserved for the Catholics, in compliment to my friend, Bishop Macdonell, for his advice in the formation of the Company." A road was cleared leading up to the hill: Macdonell Street. In the autumn of 1827 Bishop Macdonell was one of the first visitors to the new settlement." A few years ago, I visited Vienna, and it was a most glorious time. I ran into many street musicians there, and it was from them that I first learned that the accordion could be played beautifully, that it need not be all oom-pa-pa polka music. PLEASE NOTE: Keep comments focused on the music, not on the furniture in the background, nor on that thorny issue of concerts in church. According to venerable tradition - once described in great detail in the Cæremoniale Episcoporum -, a new bishop is solemnly received upon entering his new diocese. This reception (which in German we call "Einholung") took place today for the new Archbishop of Munich and Freising, H.E. Msgr. 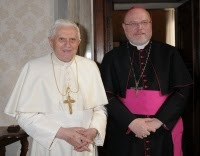 Reinhard Marx, after he had been received in audience this Monday by his pre-predecessor, Pope Benedict XVI. 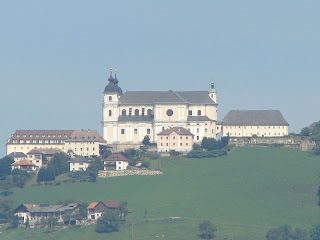 The first station of his reception took place at the Benedictine monastery of Scheyern, where he was awaited by the provost of the metropolitan cathedral, H.E. auxiliary bishop Engelbert Siebler, the dean of the cathedral, the monks of Scheyern with their abbot, Dom Engelbert Baumeister, the mayor of Scheyern and 1000 faithful. Msgr. Marx prayed sext with the monks in the basilica and was blessed with the relic of the true Cross, which is venerated at Scheyern since 1180. Once in Munich itself, Msgr. Marx went to St. Mary's Columns (Mariensäule) on the homonymous square, which has been erected in 1638 by Elector Maximilian of Bavaria and is the centre of Bavaria, from where all distnaces are measured, streets numbered etc. The elector chose the famous inscription "Rem, Regem, Regimen, Regionem, Religionem/Conserva Bavaris Virgo Maria tuis!" (Good, King, order, land, and religion/preserve for thy Bavarians o Virgin Mary!"). 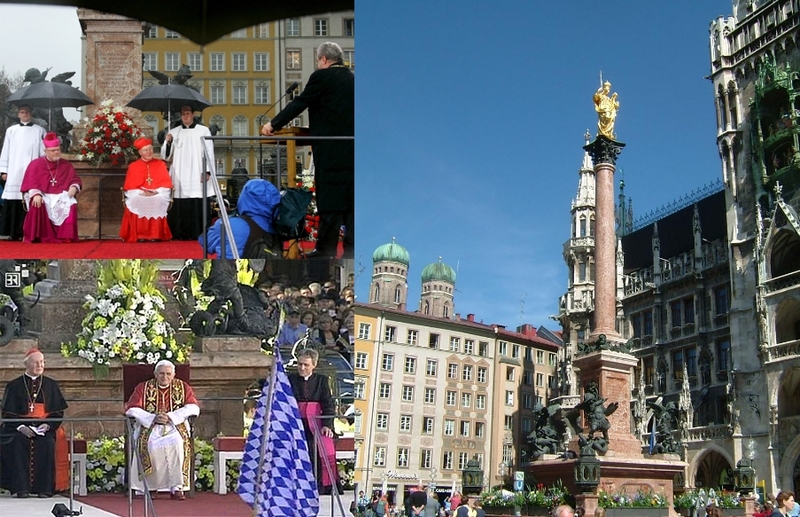 Both popes John Paul II and Benedict XVI had prayed at the foot of the column to the Patrona Bavariæ, the feast of which was conceded by Benedict XV during world war I. 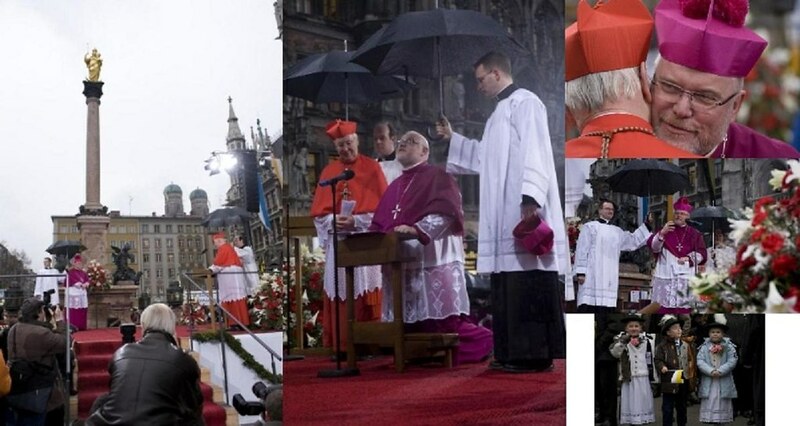 There, in the presence of his predecessor, Cardinal Wetter, the metropolitan chapter, the mayor of Munich, the state minister for cultus and - in spite of the pouring rain - more than 5,000 faithful - he was greeted by the bells of the cathedral and all the churches of the city. He then proceeded to consecrate himself, clergy and faithful, the archdiocese, the city, and all Bavaria to the Blessed Virgin Mary, Patroness and Protectress of Bavaria. Tomorrow, the archbishop will take the oath prescribed by the Bavarian concordat in front of the Prime Minister of Bavaria, and on Saturday, Candlemas, he will be formally installed during a Pontifical Mass in Our Lady's Church, the Cathedral of Munich (the two towers of which can be seen in the background in the picture above). This post is a bit of a miscellany, but I thought it might be interesting to share some of the traditions of Catholic Bavaria. The Society has launched a fund to help us develop initiatives to support parishes and priests who wish to implement aspects of Pope Benedict XVI's motu proprio Summorum Pontificum. The Society has established a study group of scholars and theologians which has begun work and will meet six times a year to consider theological aspects of the traditional liturgy. Beginning with six, we aim gradually to increase this number so that a group will emerge who can share the fruits of our study with others. We will use the fund to enable speakers to visit priestly, parish and lay groups in the United Kingdom wishing to gain understanding of aspects of the ‘extraordinary’ forms of the Roman Rite. If you wish to request a speaker, please email us. The fund will also be used to develop retreats for priests wishing to learn more of the spirituality of the extraordinary forms of the Roman Rite. The first retreat will be lead by the Very Rev'd. Ignatius Harrison of the London Oratory between Tuesday 3rd and Friday 6th of June 2008 in an English monastery. If you are a priest and wish to attend this event please email us. There will be a charge for the retreat and places are limited, but we will do our best to accommodate everyone who requests a place. More details of this work will be found here as it develops. 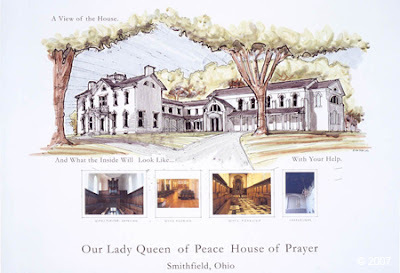 If you are able to support us financially in this work, please send donations to The Society of St. Catherine of Siena (St. Nicholas Fund) c/o 1 Cackle Hill Cottages, Snelston, Ashbourne, Derbyshire, DE6 2DL. Please indicate whether you are a UK taxpayer when sending your donation, as through Gift Aid your donation can be worth up to 30% more to us. Not directly liturgical, but some may be interested in this interview of Fr. William Bonniwell, the great Dominican liturgical scholar and author of The History of the Dominican Liturgy. He was 96 years old when this interview occurred and he is recounting his experiences as a Catholic chaplain in World War I.
Rinascimento Sacro has a story up about his recent visit to San Simeon Piccolo in Venice. I've shown you images from this church a few times, but something I hadn't been familiar with is the history of the usus antiquior in this parish, attached to the person of one Don Siro Cisilino (1903-1987), a musicologist and former parish priest. It seems that celebration of the usus antiquior here goes well beyond the Fraternity of St. Peter's presence there and even prior to the original 1984 indult; a fact I was not familiar with. Such scenarios manifest themselves from time to time in particular dioceses, involving individual diocesan priests -- Niafles in France was another. Whatever one think of these scenarios, I find such things of historical interest as part of the chronicle of the usus antiquior movement following the Second Vatican Council, and so it was interesting to learn of Don Cisilino and more of the history of San Simeon Piccolo. While on the topic, Rinascimento Sacro offers his images from his visit to this Venetian church. UPDATE: Many people, understandably, want to see photos of the altar cross in question. You will now see that just below this update, which thumbnail you can click on to see a larger view. Interested parishes/parish priests will have the opportunity to make an offer and then respond with any counter-offers. The proceeds will likely go toward some Missal rebinding and repair projects; possibily the binding of a Bragan rite Missal, or the fixing of a Carmelite and O.Praem altar missal. As part of that set of six brass candlesticks that a priest-friend of mine sent my way and agreed to have put up on the NLM for fundraising, I had promised those bidding on that item to also make the altar cross of that set available. The cross is 3 footed, brass, done in a traditional style and stands approximately 20" in height. This offer is only for parishes that wish to employ the cross in a liturgical/eccelsiastical function and any revenue generated for it will be considered a donation to be put to some NLM/liturgical use. 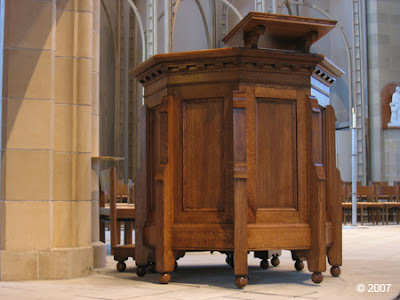 Perhaps a priest would like a new one for their ancient use Mass, or perhaps a priest would like to set up his altar like Pope Benedict XVI? This would be well suited and proportioned to that sort of use. If anyone would like to bid on that altar cross, which is a traditional one, please contact me by email: stribe@rogers.com. Some of you may be interested to learn that the famous Lewis and Short Latin Dictionary (published by Oxford) is available online in a searchable format. The tension that can exist between those who strongly prefer a more "classicized" approach to ecclesiastical art and those who favour a more mediaevalist approach is a debate that has been around for some time. No doubt it existed during the transition to the renaissance period and, more recently, it certainly can be witnessed in the 19th century when the gothic revival was in full swing. This is a debate that has manifested itself here on the NLM amongst some of our readership. It's a discussion that can arouse some particularly strong feelings. In terms of architecture, A.W.N. Pugin framed the debate in the context of the gothic being a style that arose from within Christendom, thus being a properly Christian architecture or an architecture formed by "true [Christian] principles". This as opposed to an architectural form that has been inherited and adopted to it in some fashion. For Pugin it would seem, classical architecture was essentially pagan. Pugin's approach to the question put him in conflict with the likes of the Oratorians of England -- who adopted the "Roman" or classical style -- and in particular, the Venerable John Henry Cardinal Newman. Newman was not anti-gothic so far as I can tell, but he also did not believe Pugin's position as regards the classical architectural idiom was either sound or Catholic. 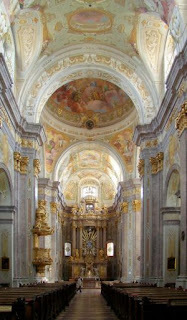 On the other hand, some would argue that the baroque/classical style is that which is most fundamentally Catholic -- no doubt in part because it is particularly Roman and also because it had seen its greatest explosion as part of the counter-reformation -- while gothic revival seems to be thought of in some circles as somehow protestant or at least less distinctly Catholic -- possibly by the association of that movement with Anglicanism and also related to how many mediaeval cathedrals and parish churches fell into non-Catholic hands within countries like England. Others of this school may simply argue that there is no inherently Christian style and therefore this form is as good as any other. 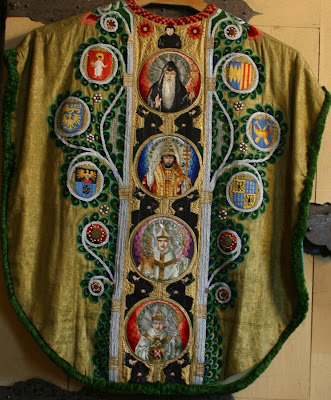 In terms of vestment design, similar sorts of debates occur of course. Some would understand the so-called "Roman" style -- i.e. the more baroque form, or "fiddleback" as they are often referred -- as a result of baroque decadence; of a development that lost its way both as regards the origins of vestments as well as in relation to the long-standing tradition. In that sense, there was a need for a "ressourcement" to recover the forms that were a more traditional expression. 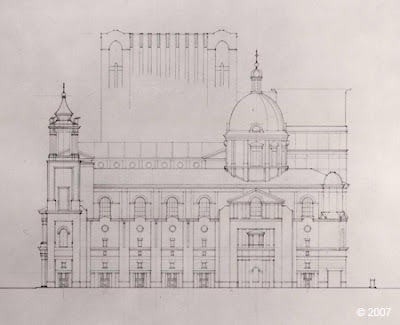 On the other side, some argue that the baroque forms are a legitimate development upon the tradition and a form that was used for a few centuries should not be so easily discarded. Some would also suggest that the restoration of the fuller forms may even constitute a kind of archeologism. Pushing beyond the emotions, preferences, accidental associations or lack of qualifications that can so often enter into these sort of debates, there is, I think, at root an interesting discussion that can cause us to ask some fundamental questions. What is, or is not, essential in Christian art? What is and isn't legitimate variety? Is one style more fully Christian -- in the sense of being most fully compatible with Christian principles? Does one form constitute a form of archeologism, or does another represent an illegitimate development? Or, on the other hand, is this not necessarily a question of "either-or"? I wish to invite more thorough and formal discussion on the matter. 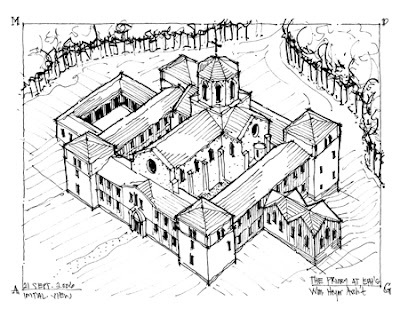 By that I mean the following: a discussion of the first principles of Christian art and architecture that purposefully puts aside preference and polemic and seeks instead to examine and argue for the principles by which we can seek to make an assessment of what constitutes an acceptable Christian art and architecture; a reasonable and unreasonable development; a respect for antiquity without a romanticizing of any particular period or expression. In pursuing that, I think we should recall that there are many lack-lustre examples that can be found within these stylistic schools, particularly as we move into the modern period, but this is not a point to emphasize for the purposes of this discussion -- unless the argument can be made that it is an implicit flaw of a particular style. Lack-lustre productions are not unique to any one style. If we are going to have a discussion about principles of Christian art in relation to styles, we should consider them in their most skilled and qualitative forms, because it is the forms that we are generally discussing and not individual applications of it. There are a few ways we can pursue this. 1. People may begin the disussion within the comments of course. 2. I would like to encourage those with a particular knowledge in this area to consider writing up a longer, more formal consideration to be submitted to the NLM for posting consideration. If some people decide to go this way, I would like there to be representatives from the few different schools of thought in this matter. These will be reviewed and discussed with the authors by myself prior to any committment to posting of course. With that in mind, let me leave you with some images of vestments and architecture that seem particularly qualitative for a particular style, that it might perhaps foster discussion. Feel free, however, to raise your own examples. Craig Hamilton's work has not gotten much airing on the internet, or even in American classical circles; yet, this handsome private chapel (Georgian Award, 2006) in northern Britain shows a remarkable freeness and ease within the architectural language chosen, quietly mingling aspects of Sir John Soane's work with Michelangelesque pediments and a convincing surety of form. I can only hope to see more documentation on this unjustifiably-neglected architect in the future. This is also, incidentally, the home of Alexander Stoddart's St. Rita described below. Andrew Gould is also, unjustifiably, neglected. 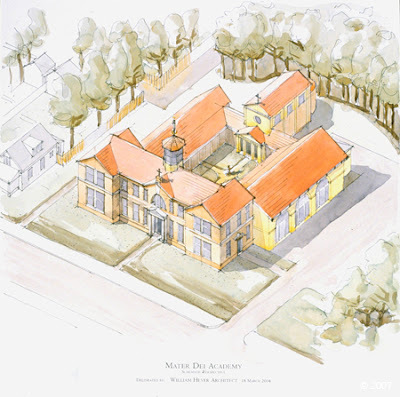 This talented South Carolina architect works, as far as I can tell, for Eastern Orthodox clients, in addition to doing residential work, but his work shows a wonderfully subtle yet vibrant approach to the Greek and Russian liturgical heritage of his clients; the perpetual problem of budget issues has no doubt sharpened his talent in packing considerable amounts of substance into otherwise very simple structures. The Scottish sculptor Alexander Stoddart refers to himself as a heroic realist, but his work--which spans both private commissions and some ecclesial work--definitely places itself squarely within the larger tradition of Western art. He has had a long history of working in collaboration with architects to create a fusion of architecture and sculpture seldom seen today. Whatever one may think of his stylistic choices from a purely subjective point of view (and I find them perfectly justifiable), he is one of the few truly serious traditional artists working in the medium at present, and thus worthy of our time, study and consideration. His work stands in public squares in Edinburgh, on the campus in Princeton, in Buckingham Palace, and many other sites of civic and world importance. To ignore such cross-currents is to ignore significant trends within the major part of the traditional architectural community today. 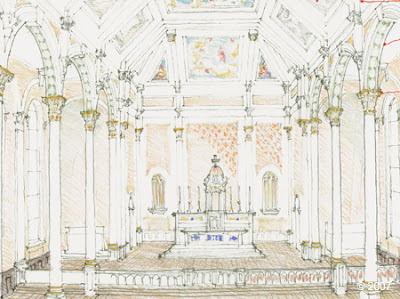 One thing I would like our readers to consider over the next few days as I post other new architectural and sculptural work by outstanding traditional artists, I think many of our readers--and many Catholics of a traditional bent--are too quick to reject the work of most of the few talented artists out there because of issues of style. This is unfortunate, as often the only other option is to resort to inferior, mechanically-produced copies, a solution seized upon entirely too quickly as a viable option. This is not to say style is immaterial, but the issue of Gothic versus Classic versus Romanesque at this point in time serves to cloud the larger issue of artistic quality. Not all Gothic, or Romanesque, or Baroque, is created equal, and a partisan enthusiasm for one particular traditional style over another, whatever its legitimate merits, should not excuse faulty workmanship. The solution here is not to reject their work but ask up-front for what you want, if you have a problem with style. Artists with a traditional background are often surprisingly accomodating, so long as they have the right training. A Catholic renaissance (or what-you-will) of the arts will not come without artists, and artists cannot live without commissions. Don't settle for the first amateur you come across, but search hard. There are real sculptors and painters out there today, who go (figuratively) hungry whenever a commission is handed out thoughtlessly. I have referred, in the past, to originality, but I do not mean originality in the sense of novelty or rejection of tradition, but rather freedom within the Catholic artistic tradition in its many forms. An original composition, rather than a catalog-bought copy, may faithfully reproduce the requirements of Catholic iconography, but it is also able to respond more specifically to the local traditions of a place or parish. Even a hand-painted reproduction of a famous work by a competent copyist can fit itself better to the specific qualities of a parish than something made by machine, because of the intervening human element. We abhore electric altar candles and cringe at the idea of bringing recorded music into mass--why should we settle for equally cheap stopgaps when it comes to art? St. Rita; a bronze for a marvelously inventive private chapel done by British architect Craig Hamilton. A pair of winged figures designed as part of the architecture of John Simpson's new Queen's Gallery in Buckingham Palace. A bust of Scottish composer James MacMillan, who has been featured in these pages before. The prongs on either side of the bust represent the ancient lyre. Fortnightly, our schola sings the Psalm as set to a Psalm tone followed by verses in a fauxbourdon style. This technique gives us the best of all possible (possible in our parish) worlds in the ordinary form. We have a simple tone that the congregation can instantly sing and not feel ridiculous, and we also have the more elaborate verses that sample some of the feel and length of the Gradual verse that is originally intended to appear between the readings. We are fortunate to have two people in our schola who totally dedicate themselves to this task: one writes the Psalm and one who digs up these fauxbourdon settings and sets the text to it in a way that matches the tone. I'm not aware of any published resource that does this, which is very unfortunate in many ways. It works beautifully for us. Here is Psalm 146, which will will sing with our full workshop choir this coming Sunday. "Thanks to a few carefully chosen changes in the Vatican offices, Benedict XVI is getting what he wants. The proof is in three recent decisions by officials for the clergy, the causes of saints, and the liturgy." In the section on the liturgy, Magister talks about the recent Mass toward the liturgical East in the Sistine Chapel, upon Msgr. Guido Marini's comments on matters liturgical in recent weeks, and on the Good Friday prayer question. Not a great deal new here from our perspective, but worth a mention. "The papal document 'Summorum Pontificum' about the broader admission of the 'old usus' (of 1962) of the celebration of Mass has not triggered a greater demand for Masses in this 'extraordinary form' according to findings of the German Liturgical Institute of Trier. 'A few letters' had been written, but otherwise everything is quiet, the German Catholic News Agency KNA was told by the director of the Institute, Eberhard Amon. Apparently the supply of celebrations of Mass according to the form of 1962 so far existing had been sufficient." "The quoted news item reports on 'findings of the German Liturgical Institute of Trier' according to which there is scarcely interest in this venerable Catholic rite. "1. The assertion of some German bishops and the German Bishops' Conference that in the past 15 years demand for and supply of old Masses had 'remained stable on a low level' is not true. To the contrary: There has been a continuous increase of supply, unfortunately only small due to the resistance in the dioceses. "2. How great the actual demand is can be surmised based on the phenomenal increase of places of celebration of Mass since the coming into force of the motu proprio 'Summorum Pontificum' in the past year: Within about four months, the number of places of celebration of Mass sprang up from short of 80 to over 120 - an increase by more than 50 percent! "At the end of June 2007, shortly before the motu proprio was published on 7 July 2007, there were 36 places in Germany where holy Mass was regularly celebrated in the traditional Roman rite. Since 14 September 2007 (the date on which the motu proprio came into force), 40 (!) places have been added, i.e. in less than half a year the number has more than doubled. Taking into account that at least 40 more groups in Germany (e.g. in Horb, Tübingen, Ulm, Konstanz, Ettlingen, Karlsruhe, Gießen, Pirmasens, Hildesheim etc.) are waiting for a fulfilment of their desire for the traditional Roman liturgy, it becomes clear that the 'the supply of this form of Mass so far existing' has by no means 'been sufficient' - even less bearing in mind that the Priestly Fraternity of St. Pius X is offering holy Masses in the traditional Latin rite in 50 further places in Germany. "But misinformation is not only circulating regarding the number of places of celebration of Mass - also the numbers of the faithful who at the respective places want to attend these holy Masses are constantly being stated too low. 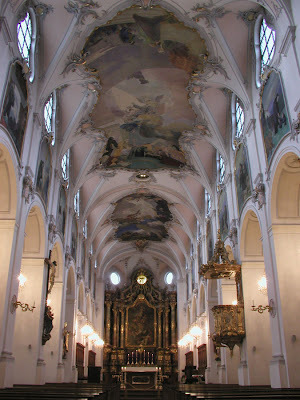 The most recent example is Freiburg: Since 6 January 2008, every other week holy Mass in the extraordinary rite is being celebrated in the beautiful Adelhauser Church in the city centre of Freiburg. According to statements by the curia [of the archdiocese of Freiburg] there had been less than ten petitions; between six and seven persons attending had therefore to be reckoned with. In spite of last-minute announcements less than a week before the beginning of celebrations, more than 240 faithful came for the first holy Mass on 6 January 2008. At the second Mass (20 January 2008), ca. 300 were thronging the nave - already ten minutes before Mass all seats were taken so that the other faithful had to resort to the gallery and the aisle. Between 30 and 40 potential attendants had to return home since there was absolutely no more room in the church. "It remains to be hoped that bishops and priests in Germany welcome this spiritual upturn. "In view of the development objectively verifiable on the basis of the permanently growing numbers of places and attendants of celebration, the question poses itself how experts like Eberhard Ammon of the German Liturgical Institute of Trier can unperturbedly continue to speak of an already heretofore sufficient supply of celebrations of Mass in the extraordinary Roman usus. "It follows from the norms of the motu proprio [...] that the number of individual petitions reaching the diocesan curiae cannot alone be determining: According to the principle of subsidiarity, applied by the Catholic Church in many areas, the bishop is only called in if faithful attached to the traditional liturgy and local parish priests do not reach a mutual agreement. If only these problematic cases or even only the direct petitions of individuals to their bishop are being counted (as has apparently happened in Freiburg), while the "low level solutions" remain disregarded, naturally a severely distorted image emerges." Here is a parishioner blogging about how a wonderful music program at her parish was suddenly wrecked by a personnel change. They have gone from Roman Gradual propers to "Gift of Finest Wheat" in a matter of weeks. Now she now dreads Holy Week. What struck me in particular is how the pastor didn't tell anyone that the music director was fired - as if it is no one else's business. Now, I have no details about this parish beyond what this blog reports, and there are a probably a zillion issues here, but the honesty and clarity of her post is truly moving. The music really does matter. P.S. 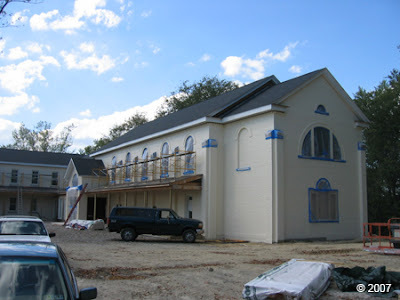 This appears to be the parish in question, in Lafayette, LA. The St. Colman's Society for Catholic Liturgy have announced that His Eminence Jorge Maria Cardinal MEJÍA will open their upcoming liturgical conference. In addition, they have announced that the registration fee will be 35 EUR. For more information on the conference, please see the event announcement in the NLM sidebar and other associated information. An interesting looking Ecclesiastical Latin page with various online resources, purchasble books, and so on. The following article appeared in the Friday weekly news edition "Le Fil de la semaine" of the French site "Liberté politique" (my translation). While the article is opinion piece as well as news item, the development and the questions raised are still of interest. "Cardinal Dario Castrillón Hoyos asks the Scouts of Europe to apply the motu proprio. "Asked in two French cities to create units whose chaplains would say Mass according to the rite of John XXIII, the current leadership team of the Scouts of Europe [NB: this is the French association "Guides et Scouts d'Europe" of the International Union of Guides and Scouts of Europe - UIGSE-FSE, not to be confused with the German association KPE Catholic Scout Movement of Europe of Fr Hönisch] had rejected this as something not to be accepted, holding that they are not affected by the instructions of Benedict XVI. After an appeal of 68 priests to Rome, the Cardinal President of the Commission Ecclesia Dei has written to the leaders of the movement to ask them to 'reconsider certain decisions taken regarding the putting into practice of the motu proprio Summorum Pontificum'. "Bizarrely invoking their 'attachment without reserve to the Council' and exclusively pedagogic criteria, the national team had closed its doors to certain priests although they are perfectly Roman Catholic. This decision, contrary to the spirit and the letter of the motu proprio, had provoked protest in the ranks of traditionalists, disappointed by not finding an ally in the French Catholic movement which has the reputation of being closest to the pope. More gravely, the decision had hurt the active forces of the movement, members and parents in their large majority attached to the ordinary form of the Roman rite, but scandalised by this distancing themselves from the work of reconciliation asked for by the pope. "How can those responsible for a Catholic educational movement regard themselves as not concerned by the will of a pope who wants to begin a work of unity and reconciliation? - Can an association of faithful forbid its chaplains ('religious counsellors') to enjoy the rights accorded by the motu proprio Summorum Pontificum? 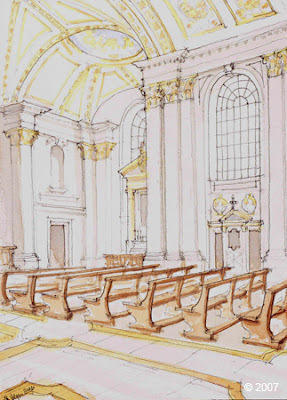 - Can an association of faithful forbid its lay members to benefit from the motu proprio Summorum Pontificum within the scope of its activities? - Can those responsible of the French association of 'Guides et Scouts d'Europe' legitimately, and for this reason alone, forbid a priest who normally celebrates in the extraordinary form of the Roman rite to exercise the office of chaplain with the movement? "The answer to these three questions seems to be no. "In fact, there is a debate in the background concerning the identity of the movement: can a private association of lay faithful, a Catholic movement for popular education invoke a régime of doctrinal, pastoral, liturgical extraterritoriality vis-à-vis the Magisterium for 'pedagogic' reasons? This approach would reveal a real spiritual and religious relativism: the Scouts would be invited to be fully Catholic in their parishes, for example, where the motu proprio could be applied, but they wouldn't be concerned by this initiative of reconciliation in their life as scouts. "One can see the danger of such a concept, which regularly turns up in the debates between those who defend a scout life unified in Christian education, and therefore in belonging to the Church whatever their state in life, and the partisans of a more cartesian concept of scoutism, reducing the "sense of God" to a "category". This is the drift that has led to the secularisation of the Catholic school: no one wishes a similar destiny to the movement of Scouts of Europe, which is at the moment without a doubt the largest purveyor of vocations to the priesthood in the Church of France, while the bishops are working to set the Catholic school again on the way of a fully Christian, non-compartmented education."